Created as a successful joint venture between two international companies, Acero Prime is one of Mexico’s most complete service centers. Since 1999 we’ve been providing reliable, integrated solutions in metal processing and logistics for the most demanding manufacturing sectors, such as automotive, home appliance, lighting, HVAC, machinery and heavy equipment industries, among others. 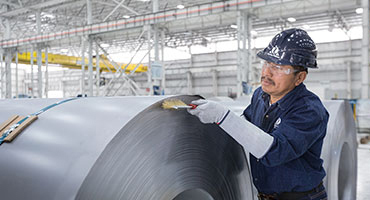 Inspired in a culture that values flexibility and service, we listen deeply to our customers’ needs to offer a value-added alternative that flows directly into an efficient supply chain, acting as an integrator between steel producers, distributors and customers. 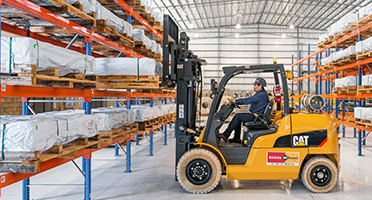 Our difference lies in our inspired human talent which is filled with integrity and commitment values that combined with our ample infrastructure and strategic location, allow us to offer our customers a high level of service and quality when processing, warehousing and distributing their materials. Our commitment is to become a reliable, long-term strategic partner. Our systems and tools provide to our customers accurate inventory, processing, and shipping information in real time. Our processing facilities feature slitting and multi-blanking lines with high-precision equipment. With a clear vision of future in a highly innovative environment, Acero Prime continually integrates new solutions that add-value for our customers and make their job easier, assuring sustainable growth for the benefit of our customers, collaborators, shareholders and the community. 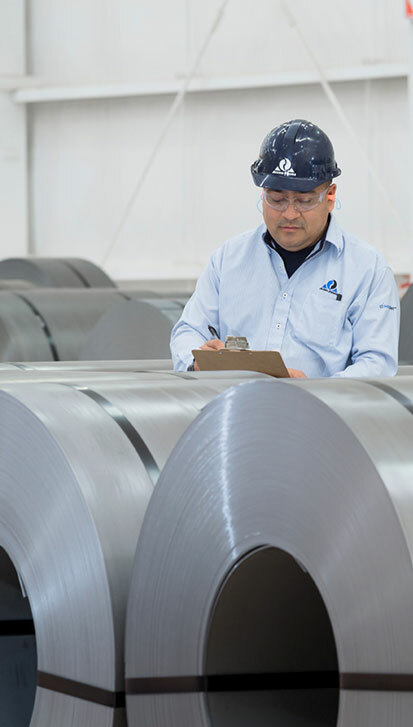 Acero Prime opens its first steel processing service center in the city of San Luis Potosi, S.L.P., with a slitting line equipped to process exposed material. Expansion at San Luis Potosi plant to add a second slitting line for heavy-gauge. A new plant opens in Ramos Arizpe, Coah., as a distribution center. A new plant opens in Toluca, Edo. Mex., as a distribution center. 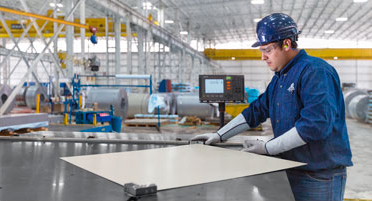 Expansion at Ramos Arizpe plant to add a slitting line with double-side inspection. Expansion at Ramos Arizpe plant to increase storage capacity. Y-Scan technology is incorporated for bar-code information management. Expansion at Ramos Arizpe plant to add a multi-blanking line. Acero Prime obtains ISO/TS 16949 certification. San Luis Potosi plant is awarded with the 2015 State Export Prize in the category of Service Company. A new plant opens in Monterrey, N.L., with a slitting line equipped to process exposed materials. At Acero Prime we incorporate reliable and value-added supply solutions to make the work easier for those with whom we interact. At Acero Prime, we’re committed to helping our customers get what they need, offering integrated processing and services that make their job easier. To make this possible, we continually improve our quality systems to create a platform for the sustained growth of our business, developing our employees’ full potential and manage our processes effectively and with maximum efficiency. Our plants in San Luis Potosi, Ramos Arizpe, Toluca and Monterrey have the following certifications granted by Lloyd’s Register LRQA.